KayKiSpeaks.com: Chris Brown & Usher Pose Together, Is A Collaboration In The Works? 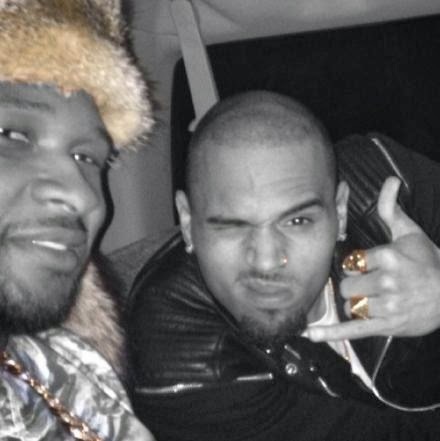 Chris Brown & Usher Pose Together, Is A Collaboration In The Works? Chris Brown and Usher are among the most comparable artists in the game. Since CB made his debut he's been compared to Usherbaby. The details of their actual friendship have been in question here and there. They were meant to tour a while back.. that didn't happen, and of course rumors will always swirl about whether there is jealousy or bad blood. It seems to me that these two both have a mutual respect for one another. Theyve been spotted together just chillin a few times. Most recently (yesterday) Usher posted this photo of him and CB with the caption, "Yep me & @chrisbrownofficial What happens next....#staytuned #Loyal" if you aren't aware Chris rejoined instagram this week, and has a single out called Loyal. So.. we can look at this as if Usher is just shouting him out to big up his new album, orrrrr this post could mean there is an actual collaboration coming from these two. A remix to Loyal maybe? I don't know.. I hope it's something new, and strictly R&B.. I prefer that over Loyal. Stay tuned as Usher said, we'll know soon! Anything but that loyal song!